The Career Engineer delivers REAL tips, solutions and strategies to help you INCREASE Your Job Outlook. This video will ensure that YOU KNOW how to EXECUTE your job hunt in a way that gets RESULTS! 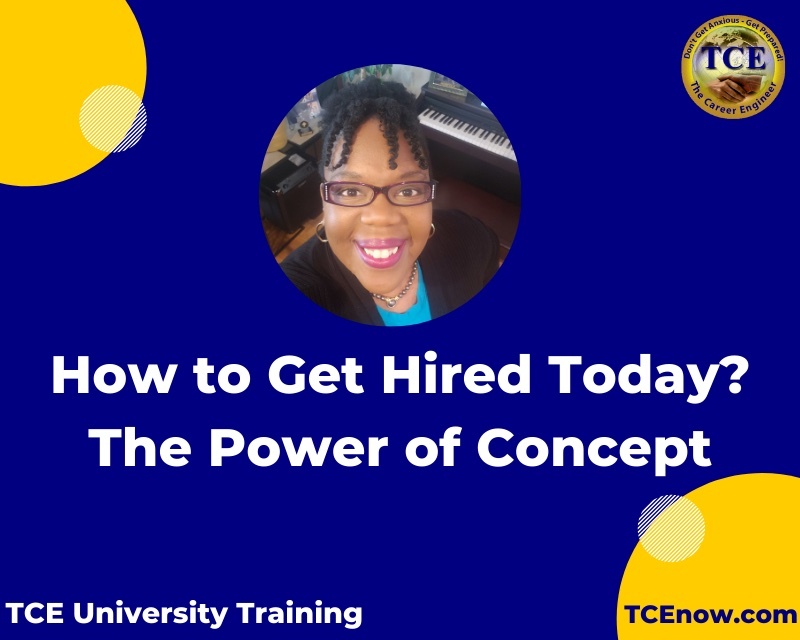 This TCE video, "How To Get Hired Today (The Power of Concept)"...is the first of a three part series that will TEACH you how to change YOUR Monday mornings and become the RIGHT Talent to increase your chances of getting HIRED in This economy! The Reason MOST folks are NOT HIRED...is because YOU don't know your PRODUCT. In this video, The Career Engineer, will teach you the POWER of CONCEPT and tips you can use to change your game...today! Give TCE six minutes...and we will make Your Monday Mornings...BETTER!